The Ars Electronica Futurelab Academy was created to support students and educators from international partner universities to engage in transdisciplinary practice. Futurelab researchers act as mentors and collaborators, supporting creative exchange with the Academy participants. Participants come from a range of backgrounds; art and design through to science, engineering and technology. Since 2012, collaborations with renowned universities in China, Japan and Australia have resulted in a diversity of exhibits and performances being presented at the Ars Electronica Festival. Some of these project outcomes have gone on to win prestigious awards and accelerated the artists’ research and practice trajectories. 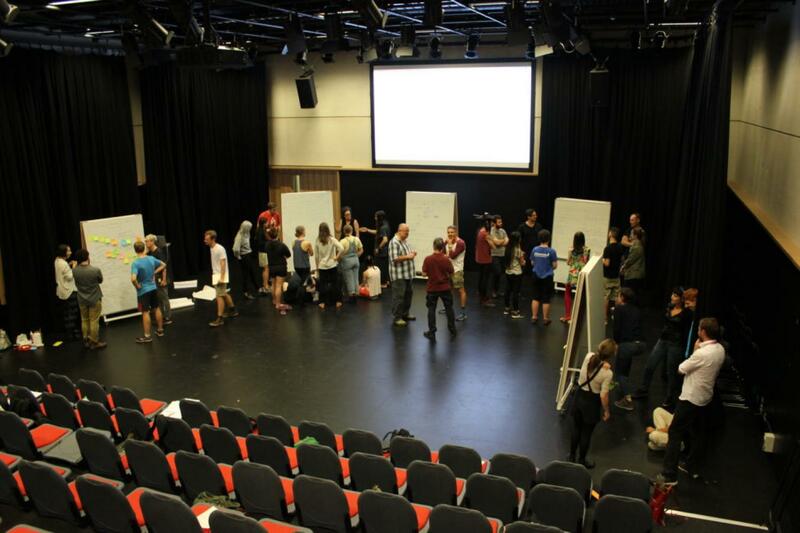 Drawing on the success of the previous years’ the 2017 Academy format took an adventurous leap into unchartered curricular territory and brought together leading QUT educators and researchers, an independent international curator and a host of Ars Electronica Futurelab members to create a first-of-a-kind education experience. More than 50 participants from across the creative industries, greater university faculties and external local leading creative practitioners engaged in a unique collaborative process. The Academy took them through discipline decontamination and into a journey of collective brainstorming and eventually new enquiry-driven research models and creative visions, the Academy enabled participants to both uncover their discipline-specific ontology sphere and paradigm, whilst supporting them in discovering new emergent methodologies of practice and creative outcome possibilities. This year’s Academy developed several creative projects, ranging from technically augmented performances to site-specific intervention prototypes. It also provided the platform for the Guerrilla Knowledge Unit (GKU) initiative lead by Jacina Leong that introduces pre-service teachers to Art Thinking as a basis for the development of curriculum-linked learning outcomes that push current pedagogical norms.